I also wrote about A Night On The Town--At The Livestock Auction Barn! Reminds me of being at my granddaddy's house, too long ago. Ok, FG Susan, I have another business venture idea for you - greeting cards!! Your pics would make fantastic greeting cards for a variety of occassions. Cedar berries? 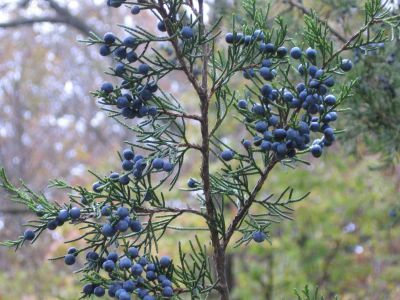 Or juniper? I bet FarmGirl's Premium Gin would be a best-seller.